1. 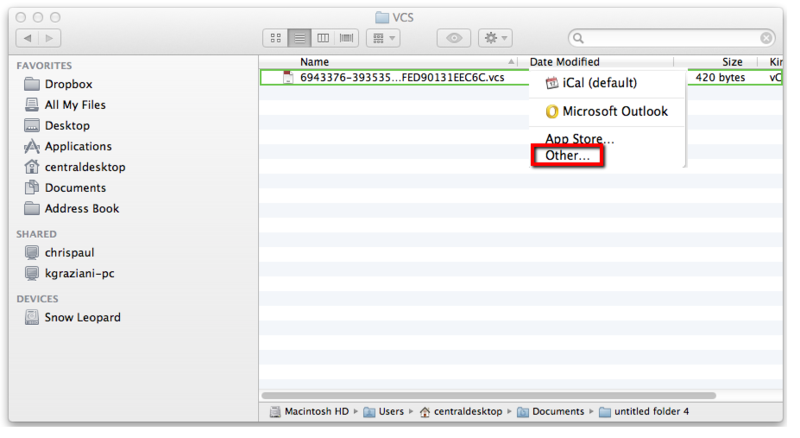 Find your VCS file via "Finder". 2. While holding the control key, click on the VCS file (two finger click on trackpads) and select "Open with". 4. 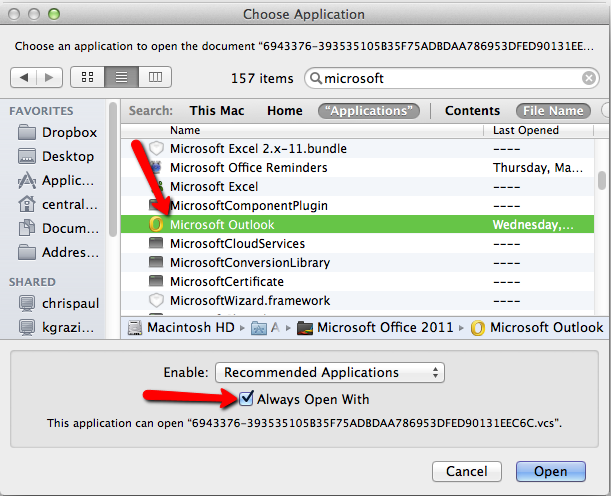 In the "Choose Application" window, select Microsoft Outlook. 5. Make sure the "Always Open With" checkbox is checked. Now any VCS file will open in Microsoft Outlook by default. You can always change this setting at your discretion.